The Carvoeiro Beach welcomes one of the biggest summer concerts in the Algarve! 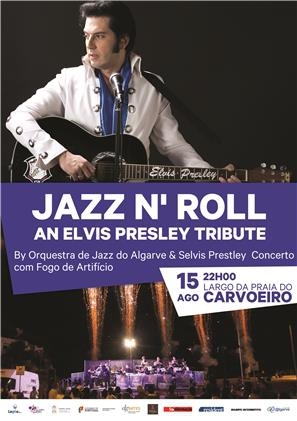 Inspired by two of the most iconic Elvis concerts - Vegas in 1970 and Hawaii in 1973 - the Jazz Orchestra of the Algarve pays tribute to the king of Rock & Roll. 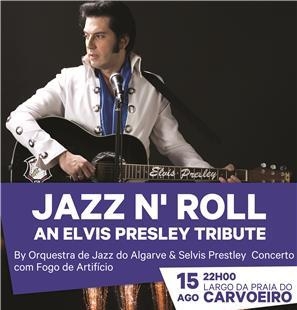 Get dancing to chart-topping hits such as Jailhouse Rock, Don't Be Cruel, Suspicious Minds and many. This promises to be a concert full of rhythm and color,with a grand fire fireworks display, set to synchronize with the music on stage. For more information visit the website (in Portuguese).